The kitchen is the heart of your home. So many great memories are focused around the kitchen. It is also the number one selling point for a home as well. This combination of sentimental and financial value makes your kitchen a significant asset. That is why upgrading the look and functionality can be an imperative. And when it comes to kitchen remodeling in Vancouver, WA, no one has the skill and craftsmanship to match a remodeling contractor in Vancouver, WA at Scherer Enterprises. 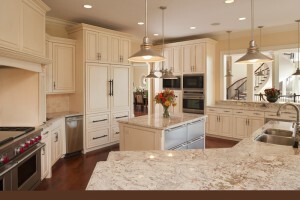 From design to remodeling completion, Scherer Enterprises builds beautiful kitchens. Our expert remodeling contractors Vancouver, WA start by listening to you. We go over details such as usage, corrections you would like to see in the current design, and accessibility. Our contractors plan a kitchen remodel design that matches the needs of your family. We also have environmentally sound building materials to choose from and ways to make your kitchen more eco-friendly. Everything centers on your needs and vision. We can work with different budgets to include small details that make a large impact, such as changing faucets, fixtures, and lighting. We can vary options like flooring, new appliances, backsplashes, and countertops. We are able to work with your current floor plan, and resurface the space with elegance and beauty. If your budget is a bit larger, we can start from scratch and design a whole new floor plan for your custom homes remodel or new home additions new look. Your vision and your budget is our guide—and you would be amazed at how far we can make your budget stretch! 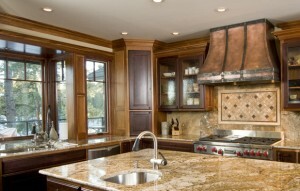 The kitchen remodeling Vancouver, WA contractors at Scherer Enterprises are well vetted in their work. Not only are they excellent at communication and talented at kitchen design, they also strive to finish on time and on budget. Our reputation around the Vancouver, WA area has been built on years of excellent kitchen remodeling at a price our customers can afford. When Scherer Enterprises is done with your kitchen remodeling your friends and family will want to know who did the work—and that is where we get a majority of our business! We give each and every kitchen remodeling job our total attention, getting every detail right. We can even remodel your bathroom in Vancouver WA while we’re at it. We take pride in our work. Our kitchen remodeling Vancouver, WA contractors treat each job like it is their masterpiece because each one is! 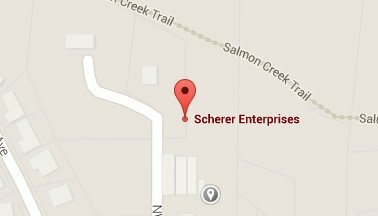 Contact Scherer Enterprises today to discuss your kitchen remodeling plans in Vancouver, WA and the surrounding area!